Home >> Analysis and Features >> Why are suitors backing out of Air India bidding? The Air India ramp at Mumbai CSMI Airport. Photo by and copyright Devesh Agarwal. Two weeks ago, the Government of India released its preliminary information memorandum (PIM) inviting expressions of interest on their strategic divestment of national carrier Air India. The last week has seen, three of the most likely suitors indicating their lack of interest in bidding for the beleaguered airline. 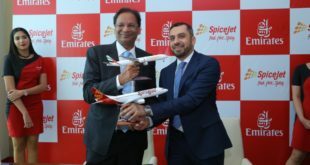 A week ago, April 5th, IndiGo, India’s most profitable airline, and the only organisation to have publicly stated its interest in acquiring the Maharaja, announced it was no longer interested. 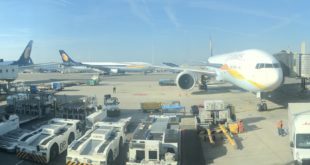 Two days ago, Jet Airways, India’s largest private carrier, announced it would not bid. 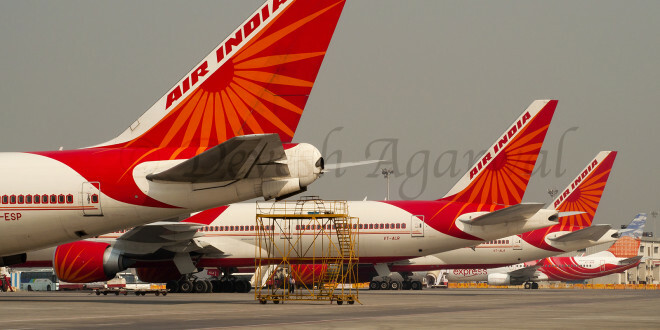 Their Deputy CEO & CFO Amit Agarwal said “We welcome the government move to privatise Air India. It is a bold step. However, considering the terms of offer in the information memorandum and based on our review, we are not participating in the process,”. Yesterday, came the biggest bombshell of them all. Reuters reports, the Tatas, who owned Air India prior to its nationalisation, and considered the strongest contender for the airline, is unlikely to consider a bid for the state-run carrier as the government’s terms are just too onerous. There are two schools of thought on why suitors are backing out of bidding for Air India. One school blames the government terms, which are just not acceptable. As per the PIM, the government has stipulated the winning may be required to publicly list Air India. Keeping in mind strong employee backlash, there are conditions in the PIM designed to safeguard employee interest. The government has also mandated that the winner cannot merge Air India with an existing business. Each of the three suitors IndiGo, Jet and the Tatas already operate airlines with a strong brand identity of their own. Lastly, the amount of debt the government expects the winner to absorb is high, to say the least. It is possible these suitors do not see enough value in Air India. Air India buyer already decided? The other school of thought is from the conspiracy theorist perspective. The winner has already been chosen by the government, and the three strong suitors are publicly backing down to clear the way, and make sure the “pre-chosen” can use the lack of interest to tweak the terms and price to suit them. With the big three suitors backing down, the government’s ambitious plans are at imminent risk of derailing. It behoves the powers that are, to sit down with potential bidders, understand their concerns, reasons for backing out, and changing those conditions that are too onerous. What are your thoughts on the developments over the last two weeks? Which school of thought do you believe in? Do you have an alternate view? Share your thoughts via a comment. Download a copy of the Air India divestment preliminary information memorandum.